Some rehab facilities offer sober living programs for participants to take part in. Such programs take your sobriety a step further by offering you a clean, safe, and positive environment to transition back into "the real world". Some facilities include independent living spaces, recreational activities like swimming pools, job assistance, family counseling and more. If you believe that going straight home after completing rehab isn't the best route for you, talk with your addiction counselor about a sober living option. 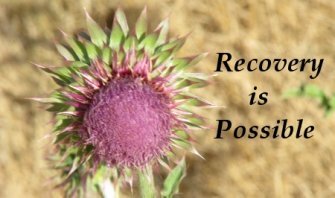 Whether you went to a detox facility in Los Angeles or an outpatient program in Atlanta, therapy was an integral part of overcoming addiction. Individual and group therapies, both serve their purpose by providing you with a platform to share your stories and get real help on how to cope. After leaving rehab, you should still be engaged in regular therapy sessions. If you don't have an individual counselor, there are a lot of churches and community buildings who host support groups for those struggling with addiction and their families. Talking to others about your day to day struggles to remain sober can help keep you on the straight and narrow. There are triggers all around you that could tempt you to relapse. To avoid this dangerous path, it is imperative that you find ways to occupy your time. Outside of your job and personal responsibilities, you should have a hobby or try something that interests you. Tap into your creativity to discover new things about yourself. When you have things on your agenda that interest you, it can distract you on days when you're feeling especially low. Your body took a beating during your years as an addict and although the substances are out of your system there is a lot of damage that needs to be undone. You can help your body to heal by doing two things, eating right and exercising. Steer clear of foods high in fat, salt, and sugar as these do not provide very many vitamins and nutrients to the body. You should also start working out. Whether you jog for a few minutes daily or you join a gym, getting your adrenaline pumping helps to boost feel-good hormones, therefore, reducing the likelihood of you using again. Focusing your attention on something bigger than yourself can help take your mind off of abusing harmful substances. It boosts your self-esteem and more importantly, helps someone else. Find out if there are things you could be participating in in your neighborhood. You can transport meals to the elderly, clean local parks, or volunteer to read at a nearby elementary school. There's something about seeing a glimmer of hope in the eyes of others that can make the journey of battling addiction easier. You took the first step at fighting one of the most debilitating diseases of our time. You went to rehab, addressed your issues, and learned how to remain sober. Now that you're finished the program, it is important to take what you've learned with you and apply it to your life. If you find that things are rough, remember, there is help whether it be a sober living program, therapist, or support group, you can truly overcome your struggles with addiction.